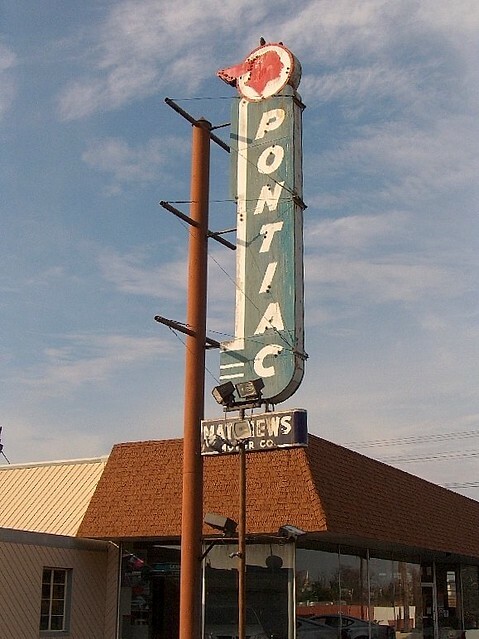 Pontiac Sign (Now gone). | Flickr - Photo Sharing! BBBWIN, bob30150, pontiaciscar, and 3 other people added this photo to their favorites. I drove past this building in Dover a few days ago, and saw that it was being renovated. All the Siding and glass were removed. I heard that it is being converted to medical offices. Hi, I'm an admin for a group called Automobile / Car Lot Signs, and we'd love to have this added to the group! This photo is enjoying a renaissance presently. I'm assuming due to the demise of the Pontiac brand.